So what's next? You have invested in and completed your session and now you have a gallery of beautiful images to choose from. You are probably wondering what to do with them. My goal is to help you choose the best product offerings for your needs. There are so many gorgeous product options available and the choices can be overwhelming. You can choose from prints, framed prints, a framed collage of images, canvas wraps, albums, mini albums and so much more! First, take a look around your home and office. Where would you like your images displayed? On a wall? On a table near your entry way so everyone that walks in can see them? On a coffee table in the form of an album? On your desk at work? In your bag or briefcase to show off to the world? 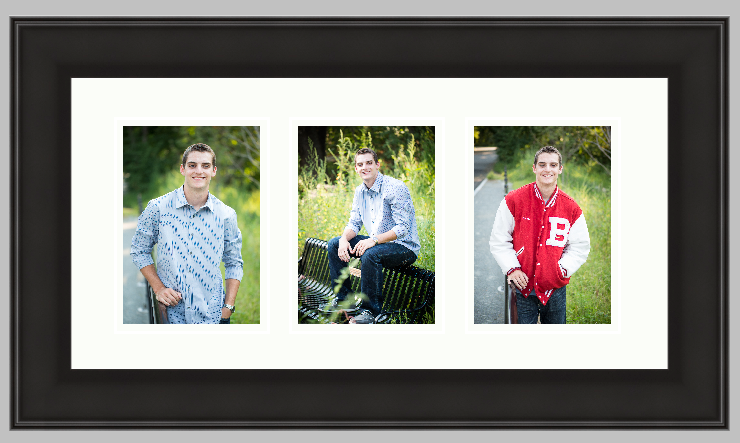 Gifts for family members or even for your senior as a keepsake? Let's look at a few of the options. Size is key! You would be surprised how big an 8x10 is in your mind but how small it is on your wall! Make sure you measure your wall space to see what an 8x10 would look like. Usually this size it just too small for wall space. If you are not sure, take a quick phone picture of your wall and email it to me. I can take one of your images and "size it and display it" on your wall so you can see what it will look like before you make a purchase. Here is an example...this is an ipad shot of my newly painted (and very bare!) 9 foot wide kitchen wall. The sample image represents a 16x20 print matted and framed to 20x24. Even this looks a little small for my wall. 16x20 print matted and framed to 20x24. Wall is 9 feet wide. Always a beautiful, ready-to-hang option. With a canvas print, you will have an instant piece of art! This is an 11x14 canvas print. How many times have you printed images with the intent of framing them but then they just sit in drawer somewhere? Yes, I am guilty!! One solution is ready-to-hang custom framing options for your images. They arrive matted and framed with gorgeous, high quality wood frames. Also available is a collage of prints...my favorite way to display images. Choose your frame size and then together we can select your favorite images and create a stunning collage within one frame. There are endless possibilities for sizes and arrangements! These images below are 10x20 frames with three 5x7 prints in a beautiful wood frame. If there are too many favorites photos for you to choose for prints, this is the perfect option for you! 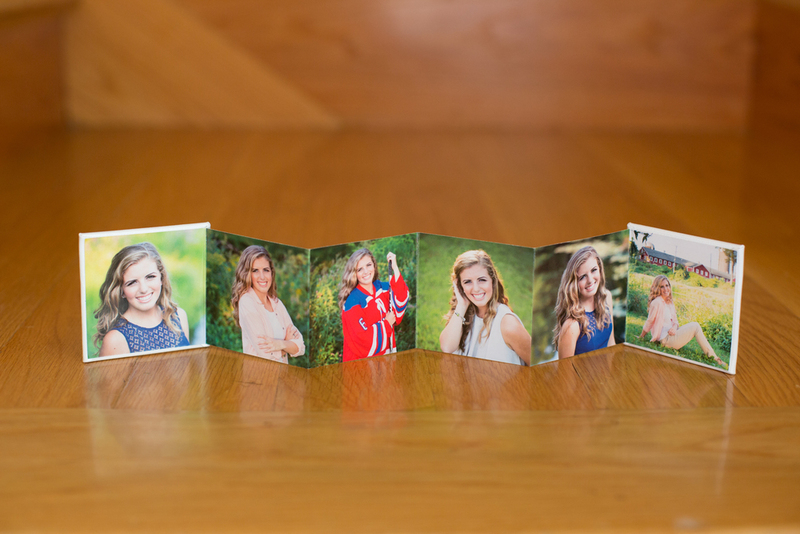 Select your "must have" images and I will create a stunning custom album for you. Choose from leather covers or I can create a personalized cover. 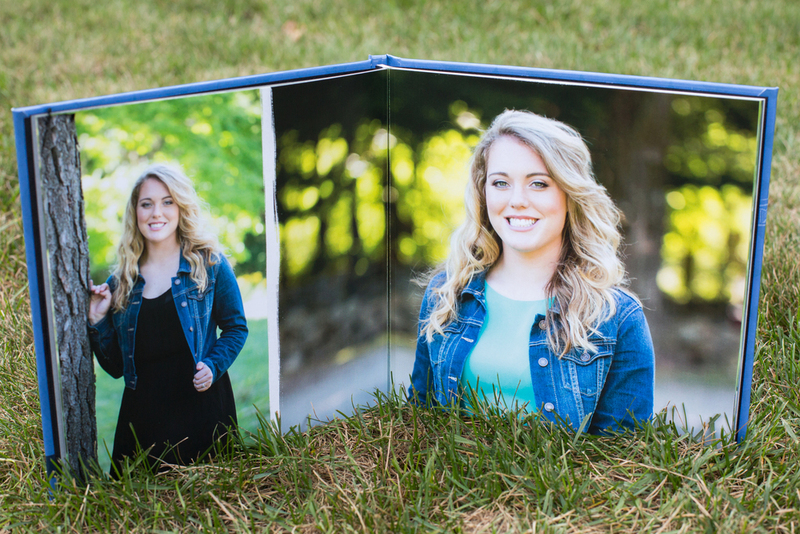 Custom albums are an ideal solution for high school seniors, families or any milestone. These images below are just a few of the pages that I created for a senior album. Also included in this album are images from her prom and her graduation to create a special keepsake of her senior year. These are perfect for anyone who loves to show off their photos everywhere they go! These 3x3 or 3x4 mini accordion albums feature 10 of your favorite images. They come in sets of three so you can keep one in your bag and give the others as a gift to family members! See your images come to life when they are printed directly onto high quality aluminum with a smooth, clean finish! Vibrant, bold, sharp, stunning are the only way I can describe these prints. Your images will have a life-like depth like you have never seen before. They are ready to hang with a metal bracket. These are just a few of the available options. Please contact me for assistance or to see product samples.